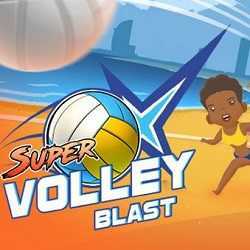 Super Volley Blast is a Sports game for PC published by Unfinished Pixel in 2018. Define your rules and start beating your foes one by one! Set the rules you like and play a quick match, or compete in a tournament at places around the world with your friends, unlock the special characters of the story mode and complete all the challenges.